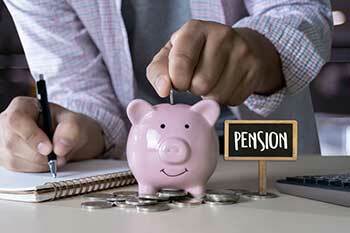 The National Pension Scheme (NPS) is beginning to attract interest in India as it provides an additional annual exemption of Rs50,000 each year. This is over and above the Rs1.50 lakh provided by Section 80C of the Income Tax Act. While the benefits of NPS for resident Indians are documented, can NRIs invest in NPS to plan their retirement in India? What are the conditions for NRIs to participate what is the process flow? Are NRIs eligible for investing in NPS? The good news is that non-resident Indians (NRIs) are eligible to invest in the NPS scheme just like resident Indians. The additional tax benefit on NPS is also available to NRIs. To invest in the NPS, the NRI will have to go through the basic KYC process and should be between 18 and 60 years of age to be eligible. Like in the context of resident Indians, only individual NRIs can invest in the NPS. Persons of Indian Origin (PIOs) and Overseas Corporate Bodies (OCBs) are not eligible. An NRI who is eligible to invest in the NPS, as above, can pay by cheque through the non-resident external (NRE) account or the non-resident ordinary (NRO) account but funds must be routed through proper banking channels only. As you are aware, the NRE is a repatriable account while the NRO is a non-repatriable resident account. NRIs can open an NPS account with a minimum contribution of Rs500 and have to invest a minimum of Rs6,000 per year. There is no upper limit. How will the NPS portfolio be invested on behalf of the NRI? The advantage of NPS is that they get a judicious mix of equities, corporate bonds, and government bonds (E, C, & G). Based on their return expectations and their risk appetite, the NRI can choose to invest in an appropriate mix of E, C and G. The advantage for the NRIs is that they get the automatic benefit of diversification both at the asset level and the security level. This diversification also helps them tide over the market upturns and downturns smoothly. What do NRIs do if they are not sure of the mix of E, C & G to be adopted? Actually, NRIs have a choice of active and passive selection of the asset mix. For example, an investor can choose to proactively allocate to each of these asset classes. Alternatively, the NRI can also opt for the passive Auto Mode. In the Auto Mode, the allocation is rule-based and automatically tweaks the mix of E, C & G based on the age profile of the investor. That can be a useful option in case the NRI does not have the time and the wherewithal to monitor NPS performance. Are there are any restrictions on exit from the plan for NRIs? Repatriation or non-repatriation of the proceeds of the NPS will largely depend on whether the investment is made through the repatriable NRE account or the non-repatriable NRO account. If the NRI wants to withdraw on attainment of 60 years of age, then a minimum of 40% must be annuitized and the balance can be withdrawn lump sum. However, complete withdrawal is permitted if corpus is less than Rs2 lakh. NRIs can also defer the withdrawal up to the age of 70. In the case of premature withdrawal before attaining the age of 60, minimum of 80% will have to be annuitized and only the balance can be withdrawn lump sum. However, complete withdrawal is permitted if corpus is less than Rs1 lakh. In the event of the death of the NRI, the nominee will be eligible to receive 100% of the corpus accumulated in a lump sum. The process flow for NRIs to invest in NPS is based on the following steps. The NRI-NPS form can be downloaded from the website of PFRDA or the NPS Trust. Many banks also offer this form on their website. The NRI must fill up the form in all respects with documents affixed appropriately. Once the CRA is satisfied, the form is digitized and a fresh Permanent Retirement Account Number (PRAN) is issued. Once the PRAN is activated, the NRI can make all subsequent investments online without any manual intervention. The process for NRIs to invest in NPS is quite simple. It also gives an option to NRIs to plan for a safe and secure future.